The popular NFCsms app has just received its first update. 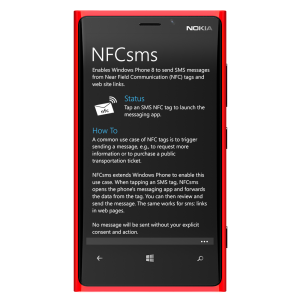 NFCsms extends Windows Phone and connects NFC tags & web sites that contain SMS links to the messaging app. Without NFCsms installed, the phone would not know how to handle SMS links. 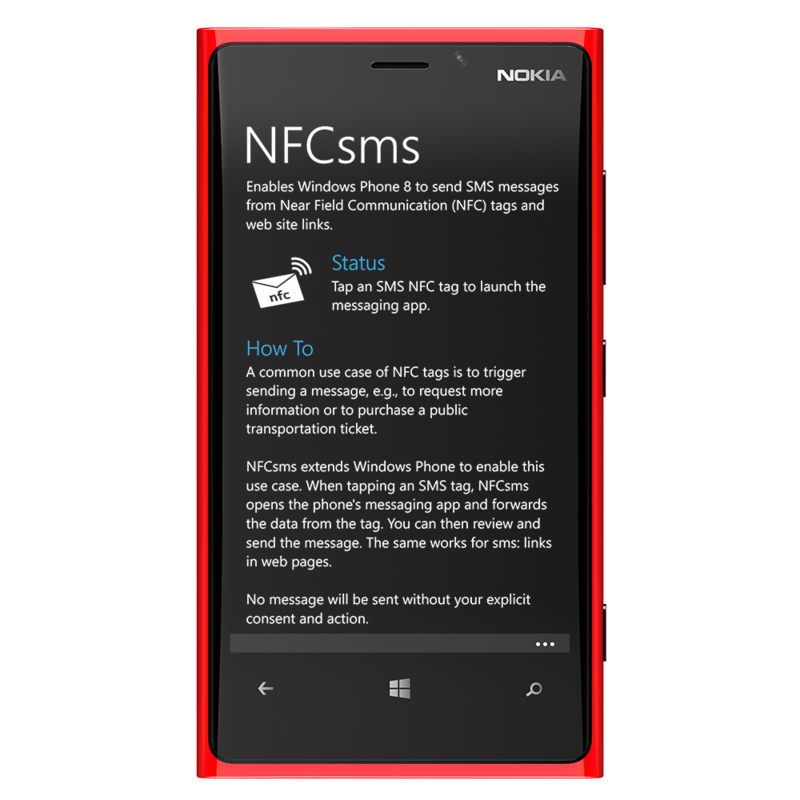 Once the NFCsms app is installed, you will immediately be redirected to the default Windows Phone Messaging app. Therefore, the app does not need any kind of direct user interactivity, as it directly forwards your request to the messaging app – NFCsms only needs to be installed for the use case to work. SMS links should look like: “sms:+1234?body=Hello” – this would send a message to “+1234” with the body text “Hello”. Unfortunately, the links are sometimes written in a wrong way: “sms://+1234?body=Hello”. While the Windows Phone prompt upon encountering such an address prompts to send a message to “/”, the new version of NFCsms now corrects the wrong scheme and still extracts the correct recipient information.